There has been a camera involved with my life, in some way, as far back as I can remember. Be it a holiday event, like Christmas, or a family gathering, or some other life event there has always been a camera around. When my mother passed away a few years ago, I became the ‘keeper’ of the family photographs more or less. Mother was great, she had made up photo albums for all of us kids that help to remember as our memory tends to fail us as we grow older. Not only did she put these together, but each one has a hand written summary as to who, what, when and where. Vacation photos, visit with grandparents, new car (this seems to follow a them with our family – those photos of first cars seem to pop up all the time). I still recall many of the cameras that were used to make the photos, Mom’s old brown Kodak, the Instamatics she and I both had, Dad’s 35mm and oh yeah, the Polaroids. Though I think there must have been others, I just do not recall them. 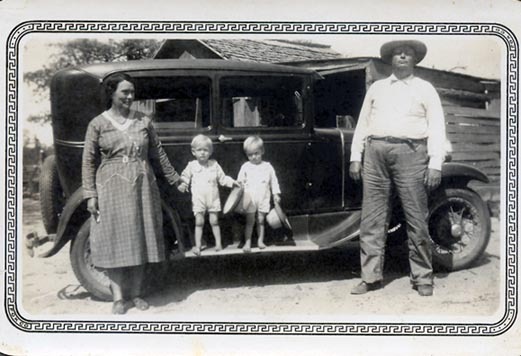 Same with my grand parents, Grand-dad loved to have his picture taken with one of his new cows (or a new car – see attached photo from about 1932) . I hope that everyone continues to make photographs, and to print and place them in albums. These are the photographic memoryof our life’s. They help us remember, that are evidence of what our life’s were like and while they may be unimportant today, one day they will be a treasured by others. Working with film is still a joy for me. Like many photographers, I started with 35mm, then came roll film (aka medium format) and finally large format (first for me was 4×5). My preferred method of printing is contact printing. Coating a nice piece of paper with platinum and palladium (with some ferric oxalate), allowing it to dry and then making a contact print is something I enjoy. It leaves me with the feeling I have put more of myself into the print, but that is for another ramble. Large format film (and cameras) come in many different sizes. Most common are 4×5, 5×7 and 8×10 (inches BTW) – these are considered the common Large Format (LF) sizes. Next would be the Ultra Large Format (ULF) sizes, 7×17, 8×20, 11×14, 14×17, 12×20 ,16×20 and 20×24 (yeah they still make these big old cameras and film for them – think about it 20×24 inches or 480 sq/in of film). The next group has been placed in either LF or ULF, until recently. 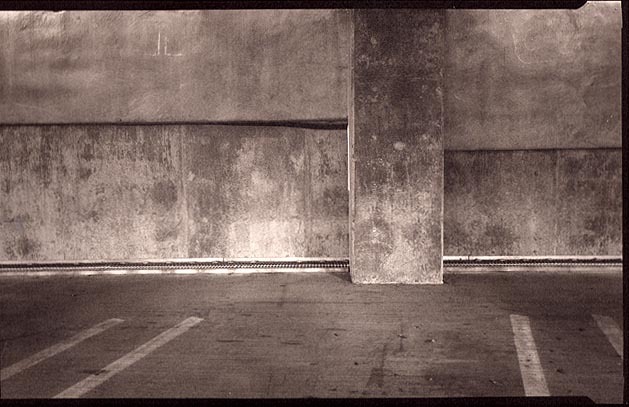 Michael Mutmansky used the term Exotic Large Format in an article in View Camera, earlier this year. I like the term, it describes the following formats very well. ELF formats would be 5×8, 4×10, 5×12, 7×11, 10×12 and I am certain there are others. One thing to note about the ELF formats is they tend to be 1/2 of some other format 5×8 and 4×10 both come from 8×10, 5×12 is half of a 10×12, 7×11 is half of 11×14 and even 10×12 is half of 12×20. So why have all these different film formats? It has as much to do with how we all ‘see’ when we photograph. Some people like a nice panoramic format like 4×10, 5×12, 7×17 or 8×20. Other’s like a format that has a ratio much like the ‘golden mean’ like 5×7, 5×8, 7×11 or 12×20. The 4×5 and 8×10 formats are more square (and are easily cropped that way) for those who wish to print a square format. The pano formats remind us of those old photographs we used to see in our grandparents home of soldiers, or perhaps of the entire school that a relative went to, or one the shows the entire town from end to end. So there is no right or wrong size, many digital photographers have taken to stitching multiple images to make a panoramic print, or crop to a given size for printing – it is how they ‘see’ the world. Why, not sure that is something that can be articulated, but is often times something that is felt – a comfort level if you will. My favorite formats? Well much of the work I have done over the past few years has been with 5×7, 8×10 and 7×11 (I really like this format). Speaking of 7×11, check back in the near future, I should have a Ritter 7×11 in soon and will post some photos and give my first impression on this new camera. The ringing of the church bell still echos as the children run out to play. As the women of the church setup for the meal, the men start to unload the food from the wagons and setup the makeshift tables. As the afternoon sun heats up, the women visit and tend to the smaller children, the men stand under the shade trees to discuss the the crops and the clouds on the horizon. The clouds may bring rain, or they may be the clouds of war in Europe…home for many who stand under the shade. The service that they just heard was most likely in German, Czech, Polish or any number of languages from parts of Europe. The reason for the celebration might be the 10th, 20th or even 50th anniversary of the church. Fast forward to 2008 and that same church building still stands, it now is 100, 120, 150 years old. Members from those same families may still attend, and the city may have grown much closer than it was from that first day. If fire or storms or ‘progress’ have been kind to it, the same building is still standing. This is one of the reason for the Texas Church Project. When a community first started, a school, courthouse or church were the first buildings to appear after homes were built. Many of these grand old buildings have been lost, but those few that remain are sought after by the photographers of the TCP, to record how they appear today, so that others will know in another hundred years what they looked like. 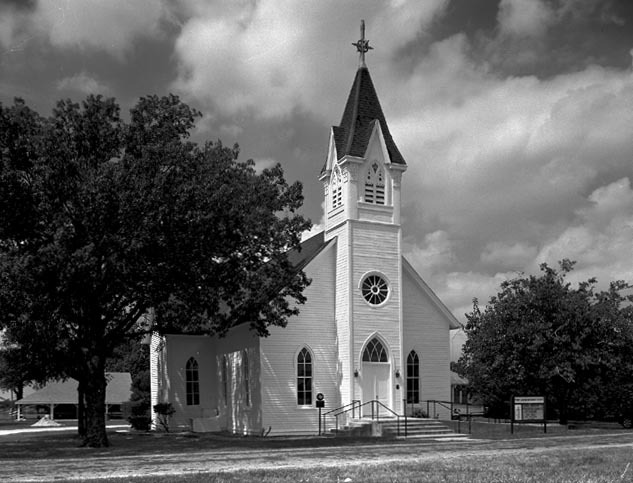 The Texas Church Project is not a religious project, as much as it is the story of Texas. It is the migration of peoples from far off lands, coming for a new start in a new place. It is the story of a people who built the building, while they built a new life in a new land. It is also, perhaps most importantly what the photographer felt when we visit each location. The emotion of rubbing your hand across a pew that has been touched by so many from such a long time ago. To listen to the stories the building has to tell – The Forgotten Prayers, Weddings and Funerals, the joys and sorrows that were shared. For more information, please visit the website of the Texas Church Project. Thanks to WordPress for making the start-up easy, now to figure out what to do with this. Hi, I’m Mike certified ‘old fart’, Amateur Photographer and native Texan. Ok, not that old (50 something) and a true ‘lover of photography’. The Texan part, well it’s home and I am proud to be from Texas.